Negative employee attitudes and less-than-professional behavior can poison the workplace atmosphere. Below are some tips for handling problem employees before morale suffers. Complaint forms, personnel files, performance reviews and discipline warnings must be legally compliant, and cover issues like different punishments for the same fight, nipping negativity before it derails morale, and investigating even seemingly frivolous complaints. It's tempting to ignore the constant complainer as a crank who is never taken seriously. Sooner or later, though, the complaints will lead to a confrontation that can seriously undermine a manager's authority. Clearly this subordinate is challenging not only management's patience, but also its authority. He/she must be disciplined. 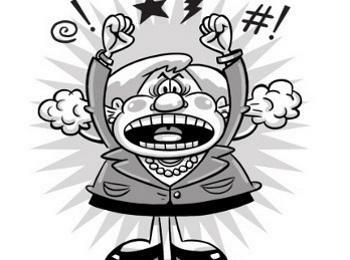 Here are some suggestions for disciplining a chronic complainer. You must be able to show that the employee's behavior violates company policy. No one would question a manager's right to discipline an employee who refuses to follow orders. But coming down hard on an employee who doesn't like the new color scheme in the cafeteria would be out of line. Don't dismiss a complaint as being too trivial. Investigate it fully and get back to the employee with an answer. Some constant complainers are cured when they see how ridiculous their complaints look under formal scrutiny. Never try to justify a major disciplinary action by building a case based on a lot of minor complaints. Putting employees under special scrutiny or constructing a file filled with reprimands or unsatisfactory appraisals will make matters worse. Each complaint should be judged on its own, immediately after it is filed. Never let a constant complainer deter you from appropriate discipline. Some of them might argue that your discipline is in retaliation for one or more of their complaints. You have a right to discipline any employee whose behavior or performance has been unsatisfactory, whether or not he/she has filed a complaint. Sometimes the chronic complainer is only speaking for him/herself. But there are times when he/she might be reflecting the feelings of a whole department. That's why it's never a good idea to totally ignore the complaints. Check with colleagues and co-workers to see if there's any validity to the claims. Be a sounding board. Most managers run and hide when they see a problem employee approaching. Try the opposite tack and attack their complaints with a quick investigation. You may find more than you bargained for. Often, people who act in a negative way are really looking for an outlet, someone who will listen and reassure them. Give them the attention they're seeking and you may lessen the severity of the problem. 2. An employee has been complaining to our customers about the long hours he's forced to work, and how underpaid and underappreciated he is. Is it legal to fire him for making the company look bad to its customers? Not in this situation. The National Labor Relations Act (NLRA) gives employees the right to discuss their wages and other terms and conditions of employment, whether it's with one another, with the press, or with customers. Note: The NLRA does not protect statements that cause damage to the business; it is not likely to protect disloyal, defamatory, or maliciously false statements. It also does not protect statements that do not address the employer’s labor practices. 3. Is an employee's inability to get along with others protected from discipline or discharge by the Americans with Disabilities Act (ADA)? The ADA protects employees with mental disabilities. Confusing a mental impairment with a bad attitude can cause employers to violate the ADA if they refuse to accommodate or decide to fire an employee based on a covered mental impairment that had been mistaken for a so-called bad attitude. Such mistakes may be common, especially when most companies do not have the medical resources handy to separate the wheat from the chaff when employees complain of being "stressed" or "depressed," for example. What to do: If an employee with a negative attitude claims a mental disability, employers have the right to ask for medical certification or, in some cases, a second opinion, to confirm the claim. Your second line of defense should be documented proof of the employee's essential job duties, and his/her failure to fulfill those requirements. Finally, you may want to consider putting a policy in place explaining the types of behavior that are not acceptable in the workplace. All three of these strategies can help support your employment decisions as being legitimate and based on the employee's performance, not his/her disability. 4. What's the best plan of action for dealing with an employee with a personality problem before discipline becomes inevitable? The next time you're exasperated by a stubborn "personality" problem, try the following tips. Be specific. Give clear-cut examples of what is unacceptable about the behavior. Example: "When you give work to an administrative assistant, I expect you to put the assignment in a neat pile on her desk, explain in a polite tone of voice what you need done, and thank her in advance for her time." Now you've set a standard that can be met (solving your problem) or missed (helping you document your case). Don't throw in the towel too early. Just telling the employee that he/she has a problem is not enough. Determine if the problem is personal or professional. Start with the workplace. Has your department recently expanded or contracted in size, been under a great deal of deadline pressure, or struggled with a lack of resources? Has the employee been assigned more – or less – responsibility? Is the job beyond his/her experience or expertise? If the problem is a professional one, there are many steps you can take before you give up on an employee, including: rewriting or clarifying goals; providing extra training; or changing, eliminating, or reassigning job duties, etc. Be patient. Once you've pinpointed the exact nature of the problem and recommended a solution, don't expect the situation to change immediately. Make it clear that the standards for performance do not lessen in a personal crisis, but that you will be as accommodating as the company allows you to be. 5. What can an employer do to control negativity before it spreads? Besides dealing with employees individually, you should have tactics prepared for handling your workforce as a whole in order to prevent negativity from infecting all your employees. Communicate. Make sure employees know that you have an open-door policy, and that you are willing to share what you know about events and news in, around, and about the company to the best of your knowledge and ability. This will also help feed information into the office grapevine, which can help negate rumors and false information. Participate. The more you listen to employees, and take an active interest in their concerns, the less likely they will be to complain to each other. At the same time, make employees part of the goal-setting process, so they won't feel like they're just being ordered around. Set standards. Base them on behavior, not attitude. You can't control an individual's thought processes. However, you can control negativity somewhat by putting consequences on behavior. For example, you may not be able to change the fact that an employee doesn't like a particular company policy, but you can emphasize what disciplinary measures may be doled out if the policy is not followed. Hire right. Identify negative individuals before they land a job in your office. During the job interview, listen for feelings that "life isn't fair" in response to the following questions. a) Have you ever felt you've been treated unfairly in the past? Why? How did you react? b) What were your chief concerns about management in your previous jobs? c) If given the chance, what would you have changed if you were the manager at your last job? 6. Two employees have a classic personality conflict and bicker constantly. Due to the nature of their jobs, they must interact with each other. What’s the best way to stop their petty squabbling? Put your foot down. Tell both employees in no uncertain terms that they need to put their petty differences behind them. While they do not have to like each other, they do need to act professionally and respectfully. Manage their performance only; do not try to solve their interpersonal differences if they are not job-related. Finally, warn them of potential disciplinary consequences if their behavior does not change. Don’t allow the employees to give you excuses or point the finger at the other person. They must take responsibility for their own behavior, and the expectations you have defined for them are not up for negotiation. 7. An employee was put on a performance improvement plan. She refused to sign it unless she could add her own comments. Now what? While you don't want to cater to every demand of a difficult employee, there's nothing wrong with allowing her to attach a separate sheet with her comments. This way, she feels that her views are being heard, but you are not changing any of the terms or expectations of the improvement plan. Be sure to explain to the employee that her signature does not signify that she agrees with it, just that she has read it. Allowing her to attach her comments is even more proof that she was duly warned. Finally, be clear that even if she disagrees with the plan, she must still abide by it, and the consequence of noncompliance is termination. how can i write to my my boss about the misbehavior of some customer in routine , i have meeting with customer but always they ignoring and not attending the meeting ? When a business is involved in fraud, the agony caused to its victims is immeasurable. The best place to report a business fraud is at the Federal Trade Commission. How to report a business fraud with the commission is very easy. You only need to visit their website to open an easy to fill complaint file or call their help line provided on the site. Once you provide all the details, the scam artists will be napped easily and taken to court to face fraud charges. People that work in restaurants with the bad attitudes always watch people while they eat and be rude to customers and sometimes other employees. Many customers be complaining about the workers in these restaurants because, of their attitudes towards them. People that work in these restaurants with bad attitudes can cause other customers to stop going at these restaurants. Someone needs to do something about these people that work in these restaurants, especially the workers with the bad attitudes. People like these people are causing restaurants to lose a lot of business and can also cause eating places to close. I am a telecom professional which requires skills, hardwork, self-determination, ownership along with team work. But if at the end of the day some are left alone to do the hardwork and other employees enjoys the liberty by having less skills and keeping their caliber & determination towards work so low that they are not assigned any main stream work. Despite of several efforts if the situation remains unchanged and other coworkers still not willing to put up their efforts. If this is causing day by day attitude change of hardworker towards the loosy subOrdinates and he gets taunts thats its the attitude not the aptitude. What should a hardworker do in this case?? How and why should he respect the deliberate loosy sub ordinate not willing to work. And this bad attitude is spoiling hardworkers reputation despite of his hardwork, ownership, responsibility and extra efforts to meet the organizational/team goals. Their jealousy, problems outside of work, etc and focus on bettering their communication, will they come out of their imagined doom and realize that they may be doing more harm than good. Unfortunately, many good managers are victimized and left in pieces at the end of the day because inept superiors want to continue the.discussion about the same complaint but refuse to put an end to it. Just because said employee isn’t a manager, doesn’t mean they establish inapprcpriate rules of conduct and managers need to support this or else. If it’s the manager’s fault, what do you say to the next one when it’s the same employee doing the same thing? Telling that person they need to be careful is insulting if not downright inept. as the company hr and HOD when he has taken my interview given me marketing profile and on the basis of this oppurtunity i left my previous organisation and when i joined this jskindia.in The HOD of department said you will be working as sales executive but i fight at that time that at interview time you gave me marketing profile so i said you should communicate this to me that we have changed the decision they said we dont find this important..And as per this situation i left my previous organisation and left jskindia.in because of fake commitmenr .and i am right now at home serching for job..but u vll take thus matter at high level..
Never once does this article ingenuously consider that the true issue lies in inept management or specious intentions that lead to unfair treatment. In general, attitudes reflect leadership. Employees have poor attitudes? The first place the investigation should start is at management.